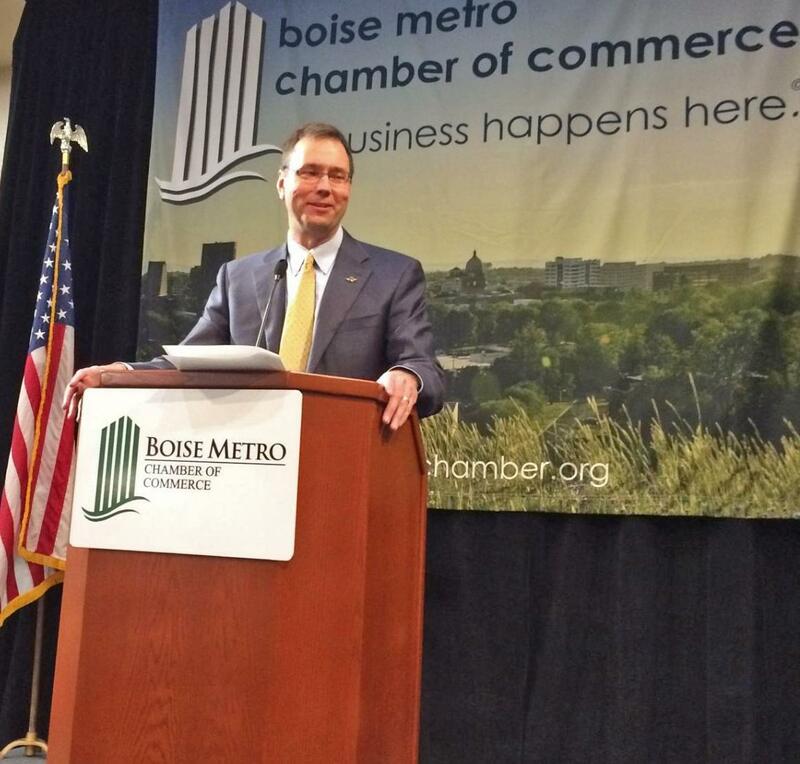 Alaska Airlines CEO Brad Tilden speaking at a Boise Metro Chamber of Commerce event. Alaska Airlines announced Wednesday it's adding a direct flight from Boise to Spokane beginning in August. Southwest Airlines already operates a Boise to Spokane flight. Alaska's President and CEO Brad Tilden made the announcement during a Boise Chamber of Commerce event. Tilden says Alaska will add two direct flights each day from Boise to Spokane on a 76-seat Bombardier Q400 plane. Boise Mayor Dave Bieter said in a press release the addition of another nonstop flight will benefit southern Idaho's economy. “This investment by Alaska Airlines adds to the growing string of developments that are making 2015 the most exciting time for Boise since I became mayor 11 years ago,” Bieter said. Alaska Airlines already offers nonstop flights from Boise to Seattle, San Jose, San Diego, Lewiston, Portland, Sacramento and Salt Lake City. Earlier this year, Allegiant announced it is adding a Boise to Los Angeles flight beginning in June. Delta also announced a new direct flight from Boise to Seattle. Missoula, Mont.-based Neptune Aviation is considering launching a private charter service for direct flights to Boise, Seattle and Billings. Neptune is known for its firefighting airplanes. This week, Neptune’s CEO Ron Hooper outlined his idea to launch roundtrip flights from Missoula to Billings and Boise twice a week. Low-cost airline Allegiant announced Tuesday morning it will offer a nonstop flight from Boise to Los Angeles beginning June 5. Allegiant already operates direct flights from Boise to Las Vegas. The airline's new Boise to LA flight will be offered twice each week, with one-way fares starting at $43. 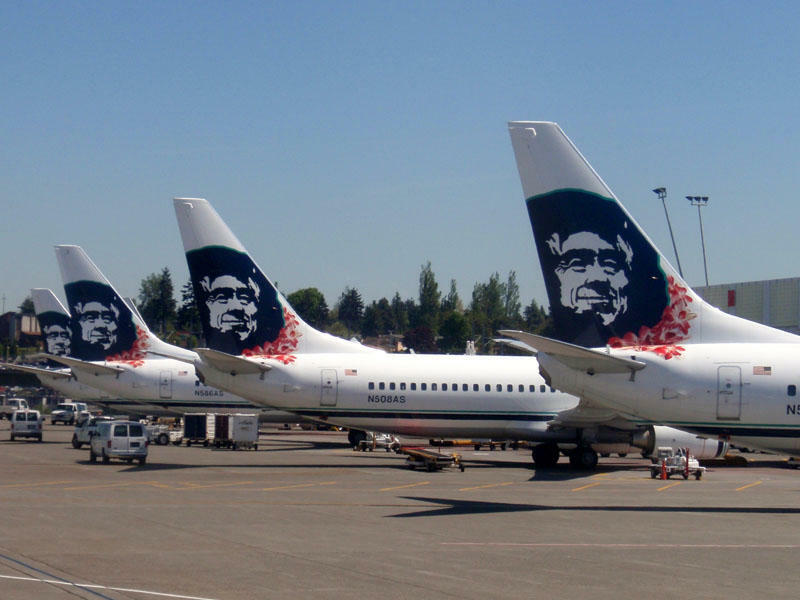 The steep drop in oil prices is helping to pad the bottom line of Seattle-based Alaska Airlines. But don't expect lower fares on the horizon.